Palate: Deliciously creamy in the mouth, elegent and light, slightly sweet. The Paul Giraud VSOP Cognac is a wonderful example of how classically elegant a Cognac of this quality can be. Created solely from eaux-de-vie from the premier cru, Grande Champagne, you can enjoy this traditionally produced delight in a number of ways. It's delicious neat, perhaps in a balloon glass warmed gently in the hand in the time honored traditional manner. But it's also exceptional within a cocktail or with a mixer over ice. One of the reasons this is a stand out VSOP is because the age of much of the eaux-de-vie within the blend is around 8 years, which is double the legal minimum. These extra years lead to a maturity seldom found in a Cognac of this level. Another talking point is that the house of Paul Giraud carry out their harvesting by hand–something rarely seen now in this age of automation and machinery. 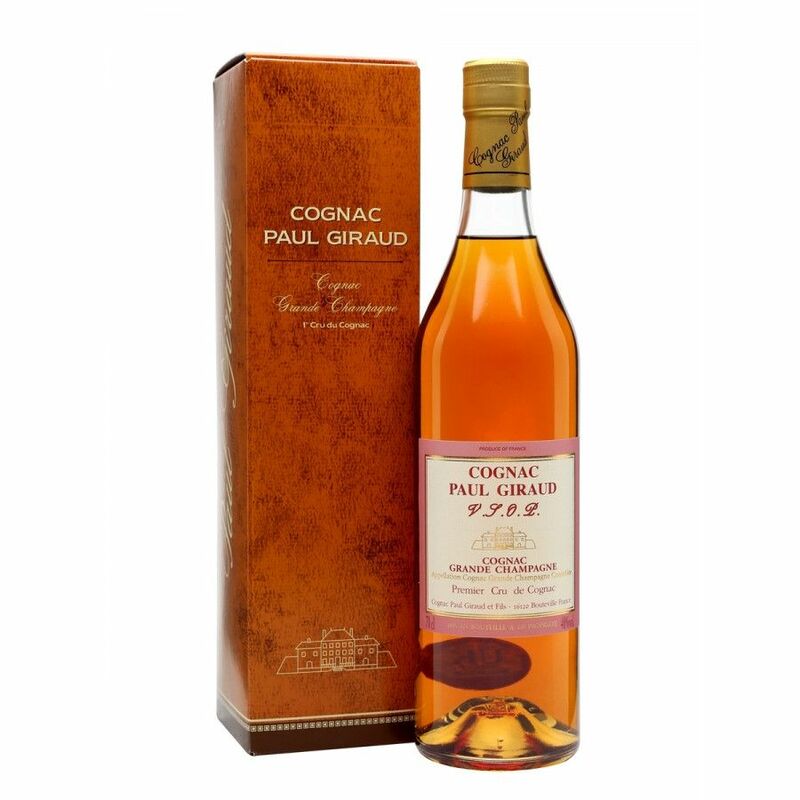 A great Cognac to own, and one that would be happily received as a gift by any lover of fine things.